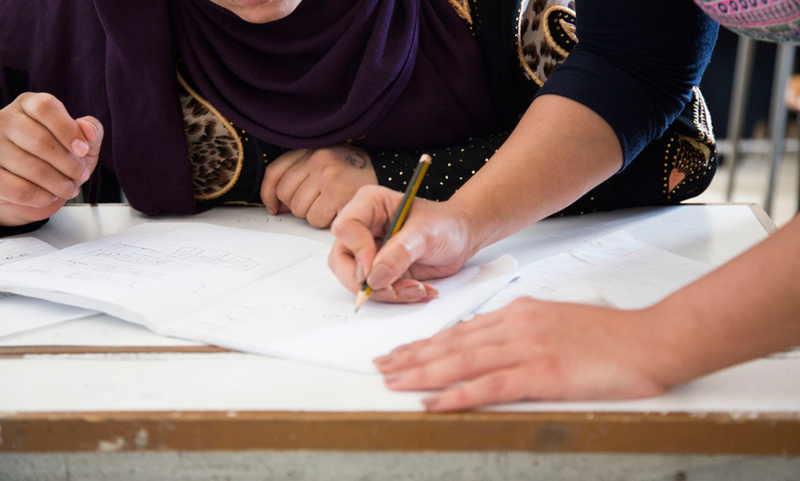 When Sahar, a 27-year-old mother from Aleppo, joined the literacy class in 2015 as part of the Vocational Training program, she was completely unable to read or write. Having attended the classes for over a year, Sahar has been able to learn the basics of Arabic literacy, and advance to a higher level. As a result of this progress, Sahar was able to help her daughter Khuzama with her Arabic homework, leading to an improvement in Khuzama’s class performance. Sahar also began teaching her four-year-old son the alphabet, and even started tutoring her neighbours’ children and helping her peers with their studying. Her teacher has noted Sahar’s growing passion to teach as well as learn, and her ability to use innovative teaching methods, often learnt during her classes, with her neighbours and peers. Three months ago, she moved up to the more advanced class, where she has begun reading Arabic books. In the future, Sahar plans to open her own class to teach those who are illiterate to read and write.